The 2019 Toyota Tundra is a pickup built to work hard for you. With a towing capacity of up to 10,000 lbs. and premium options such as the CrewMax Limited and Platinum models, you can build the ideal workhorse for your exact needs. The Tundra has over 80-years of engineering history behind it; a heavy metal half-ton with available towing technology that ample amounts of cargo capacity and safety features that rival the F-150 and Chevy Silverado. 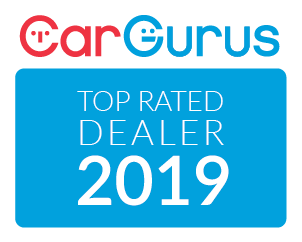 Shopping for a pickup in Edmonton and considering the 2019 Tundra? 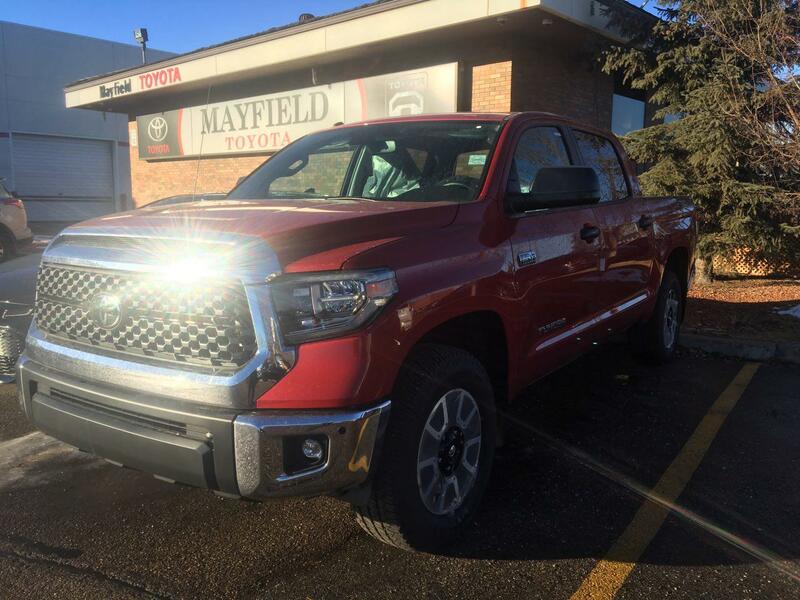 Learn why it’s slowly becoming a top pick for Albertans and why Mayfield Toyota is your one-stop shop for trucks in Edmonton. 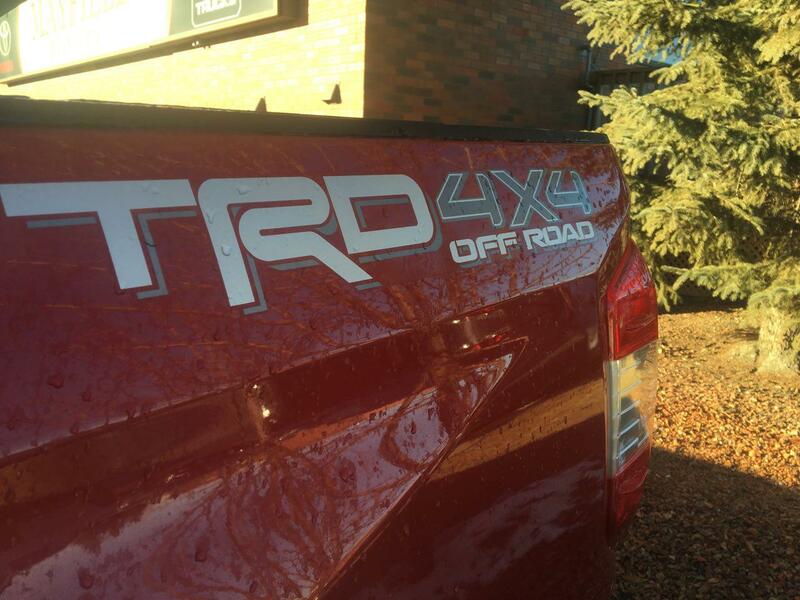 Toyota is taking the Tundra TRD Pro edition to the next level. 2019 sees a huge update including new 18-inch aluminum alloy wheels, 2.5-inch internal-bypass FOX Racing shocks, anti-fog lights, an air duct on the hood and a new high-performance exhaust. 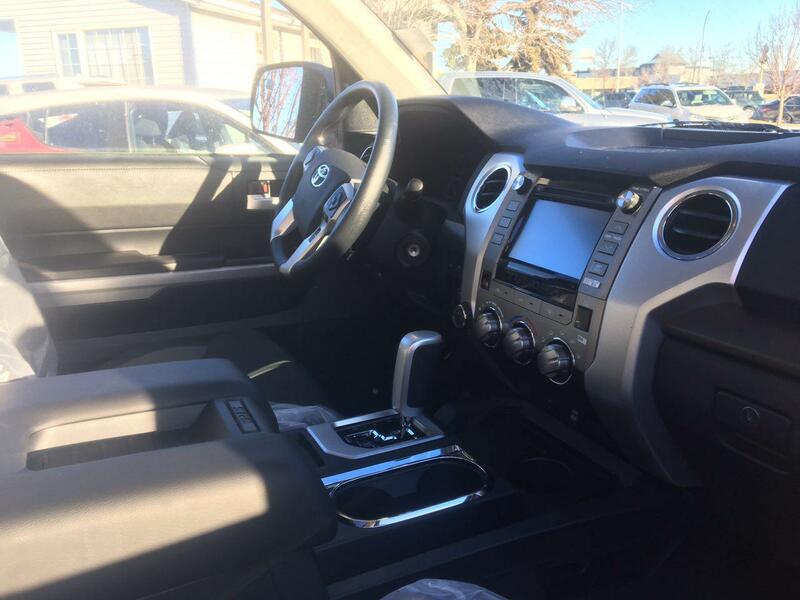 Combine that with the signature TRD touches, like black leather seating with red stitching, trim-exclusive TRD Pro carpet mats, and a TRD shift knob and this is one beast of a truck. You have every option available to you in the Tundra. In addition to Toyota Safety Sense which includes things like Pre-Collision System w/Pedestrian Detection (PCS/PD) and Lane Departure Alert w/Steering Assist (LDA/SA), Toyota has made every amenity possible. The 2019 Toyota Tundra is available in one of five trim levels: the base SR, the value-conscious SR5, the flexible Limited, the upmarket Platinum and the specialized 1794 Edition and TRD Pro. Choose between a 310-hp, 4.6L i-FORCE, 8-Cylinder or 381-hp, 5.7L i-FORCE, 8-Cylinder engine. Finally, choose your body style and one of three bed lengths. 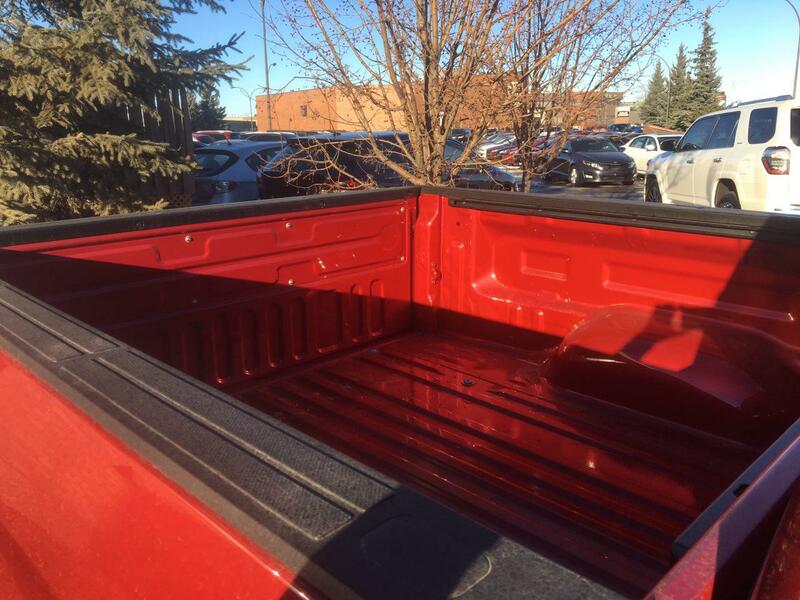 Shopping for a pickup in Edmonton? 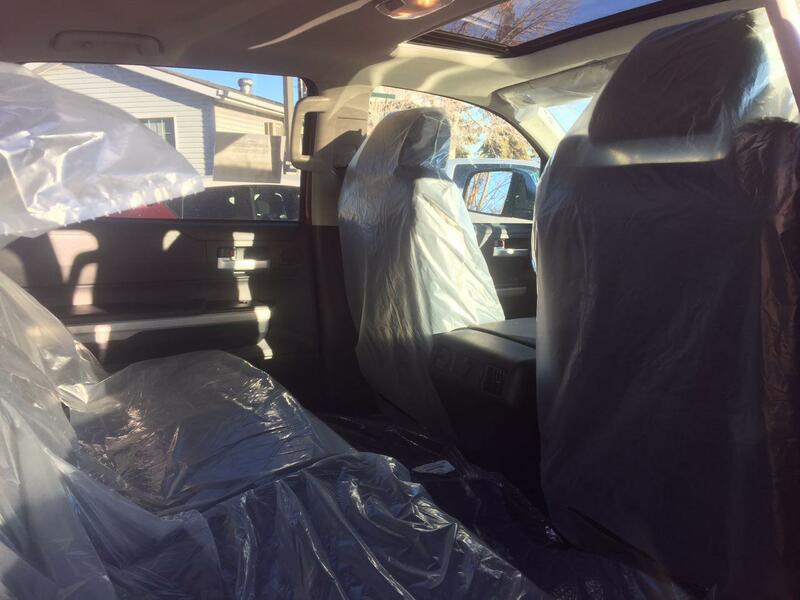 Mayfield Toyota has helped thousands of customers across Alberta including Spruce Grove, St. Albert, Grand Prairie, Slave Lake and beyond. Being from Alberta ourselves, we know a thing or two about trucks. You need something that works hard, tows smart, and gives you the convenience and tools you need to get the job done, right at your fingertips. The 2019 Toyota Tundra is that truck. SHOP ONLINE or visit us on the corner of Stony Plain Road and 170th street.